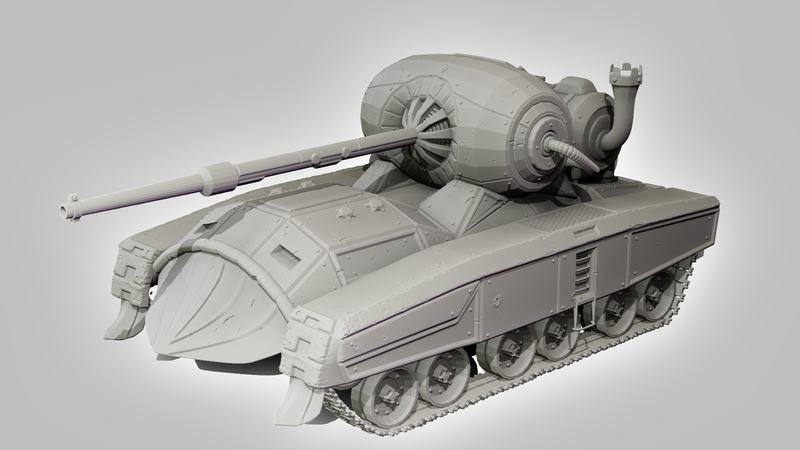 This is the basic tank from Black Howler Studios' new game, No Man's Land. 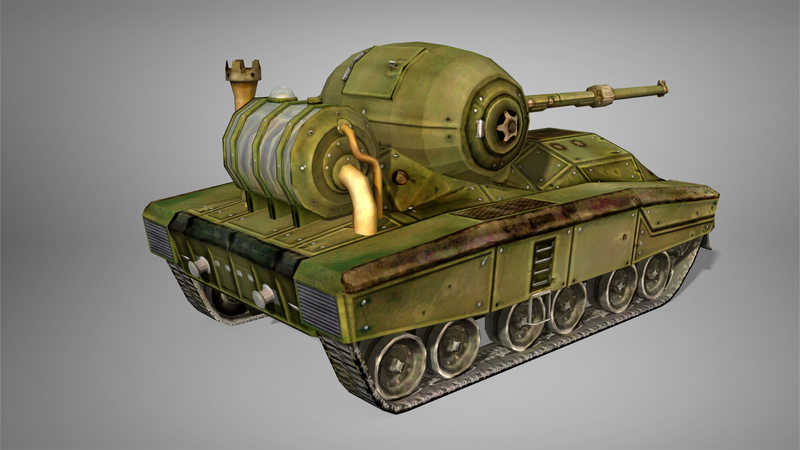 This is the basic tank for No Man's Land, the new strategy game from Black Howler Studios. My goal with this model was to get more surface detail from the Hi-Poly model baked into the texture. Below is the final product in an interactive 3D view. 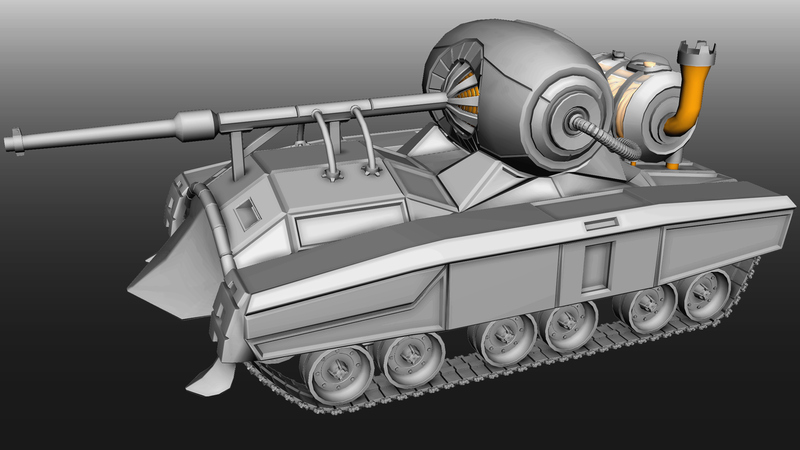 I used basic box modeling techniques in Maya (above) to create the tank mesh before adding details in Zbrush (below). 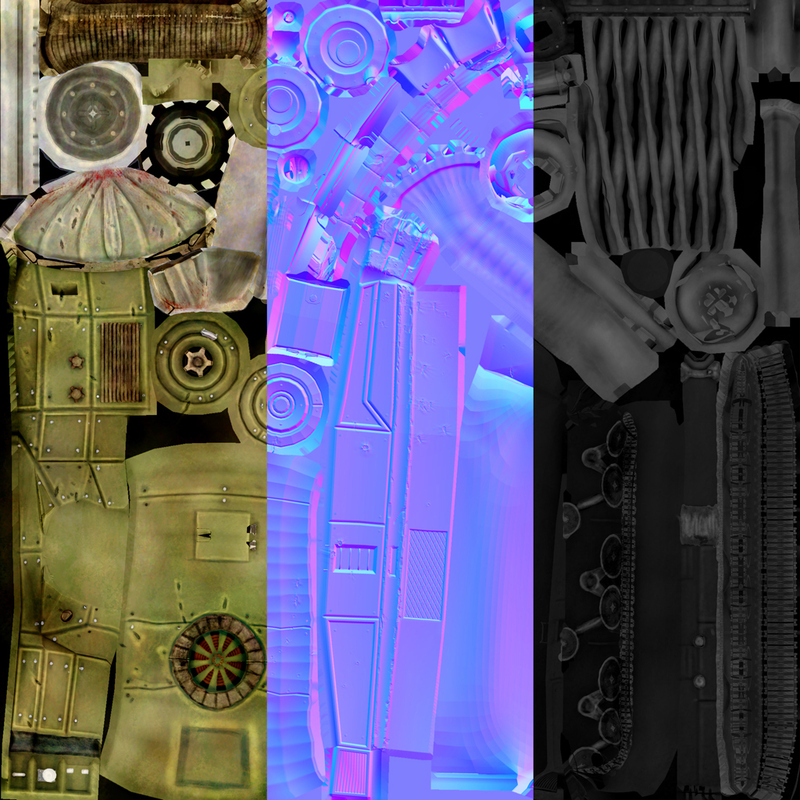 Here is the final texture sheet, including diffuse, normal, and specular. 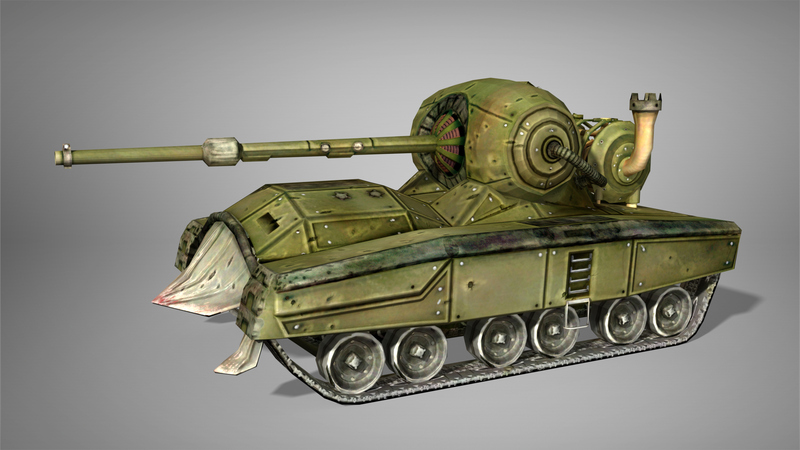 The diffuse and specular are hand painted with baked occlusion and height maps. 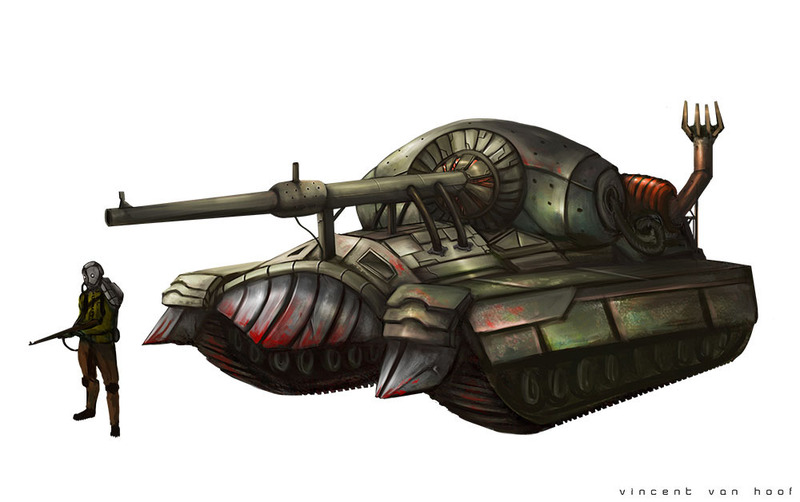 The model is based off of Vincent Van Hoof's concept.